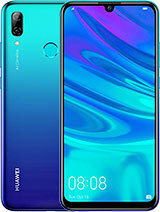 Buy used Huawei P Smart 2019 mobile phone online. View used Huawei P Smart 2019 mobile phone prices in Pakistan, Huawei P Smart 2019 second hand mobile set available for sale by their respective owners. Shop cell phone including Huawei P Smart 2019 in Karachi, Lahore, Rawalpindi, Islamabad, Peshawer and other big cities. Great phone Huawei P Smart 2019 deals in Pakistani cities, low prices. Shop Huawei P Smart 2019 cell phone in new & used condition, very reliable Huawei P Smart 2019 deals for all mobile phone lovers. Huawei P Smart 2019 phones for you at very reasonable prices in Pakistan. Used nokia, samsung and other brands in good condition. Here are the best latest Huawei P Smart 2019 deals. You can try for price negotiation from mobile owner using email or contact number.